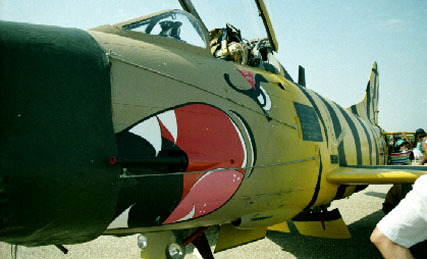 The Fiat G-91 was the winner of a competition organized by NATO for the purchase of a fast tactical fighter/bomber airplane, with good general performance and good handling, it was capable to operate from prepared runways or grass fields, and had a low cost of maintenance. Shortly afterwards of its introduction in Italian Air Force in 1958, model G-91 R of reconnaissance was created, keeping all the basic characteristics, with modification of the nose for installation of frontal and oblique Vinten photo camaras of 70 mm. The versions R/1 for Italy and R/3 and R/4 for Germany differed in its armament and some internal equipment. 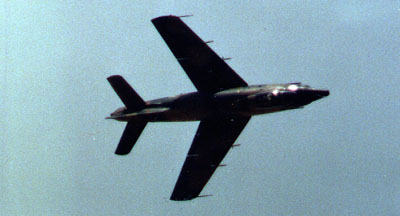 The United States Air Force tried some G-91 R/1 and R/3 during 1961/62, but it did not acquire none. Manufactured by FIAT in Turim, also 295 aircraft manufactured by Dornier in Germany for the Luftwaffe. The model R/4 was originally destined to Greece and Turkey but they had been delivered later to the Luftwaffe and in 1965 to Portugal. 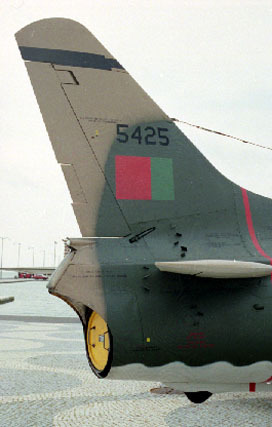 They had been used in the war of Africa, essentially in Guine (121th Squadron Tigres) and Mozambique (502th Squadron Jaguares and 702th Escorpiões), but also in Angola (Luanda) where they had made a good service. 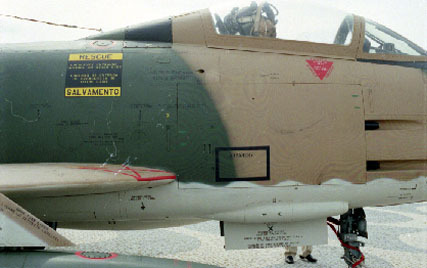 In February of 1973 in Guine a Fiat G-91 was shot down by a Strella missile, where the pilot TCOR Almeida Brito died, after this incident they started to fly at very low altitude, opted to olive green antiradiation painting and diminishing the dimensions of the insignias. 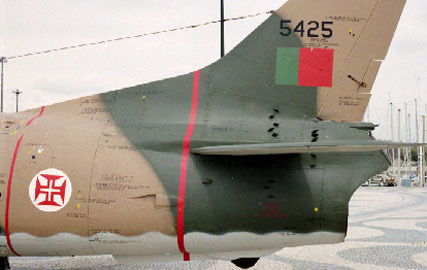 At the end of the African war they came to Portuguese mainland to Tancos and later to Montijo (301th Squadron Jaguares) and Azores Islands (303th Squadron Tigres) to be retired by 1993. 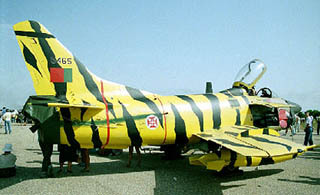 FAP received in 1966, 40 Fiat G-91 R/4; from 1976 to 1982, 70 Fiat G-91 R/3; from 1976 to 1982, 26 training Fiat G-91 T/3, where one did not arrive Portugal, having crashed in Spain in the delivery trip. These amounts mention airplanes received by FAP, great part did not enter in service and had been cannibalized for spare parts. Equipped with a Bristol-Siddeley Orpheus 80302 engine with an impulse of 2270 Kgf, reached 1.086 Km/h, and had a combat radius of 315 km, was armed with 2 cannons of 30 mm R/3; 4 machine guns of 12,7 mm R/4 and 2 machine guns of 12,7 mm T/3. 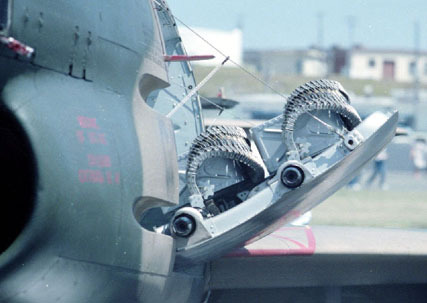 They were equipped with Martin Bakers MKG W4B ejection seats whhich in 1974 had been improved for model PW6A. 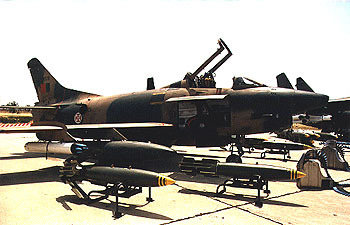 Fiat G-91 R/4 of 502th Squadron Jaguares at AB5 Nacala, Mozambique 1973. 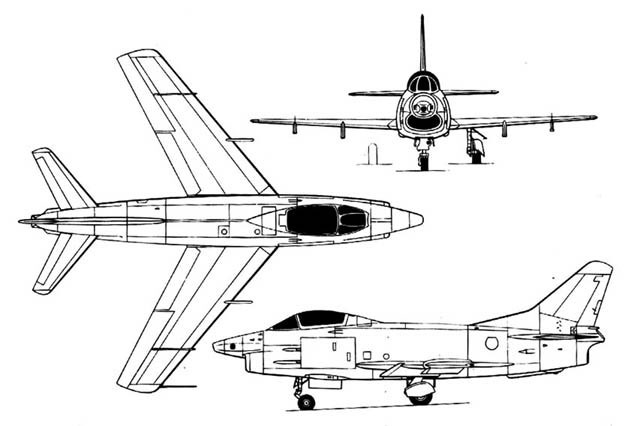 (Drawing by J.H.R.Costa, © Air Enthusiast). 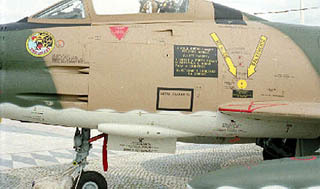 Fiat G-91 T/3 of 301th Squadron Jaguares at BA6 Montijo 1986. 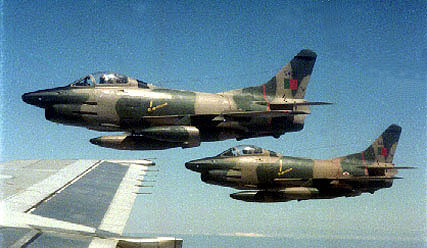 Fiat G-91 R/4 of 702th Squadron Escorpiões at AB7 Tete, Mozambique 1970. 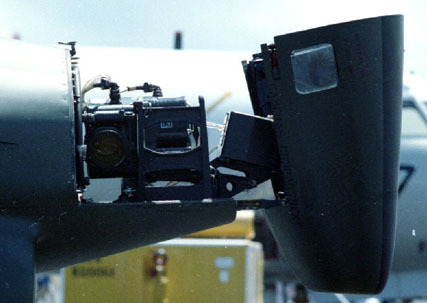 Nose photo cameras, right side. 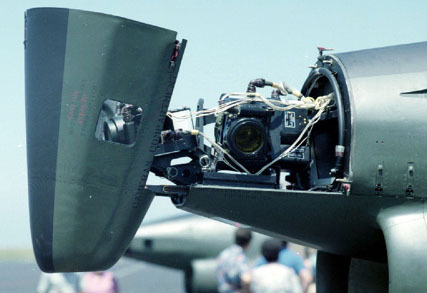 Nose photo cameras, left side. 12.7 mm machine guns, front view. 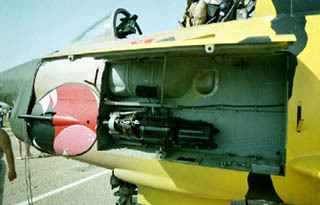 Cockpit and gun bay, left side view. 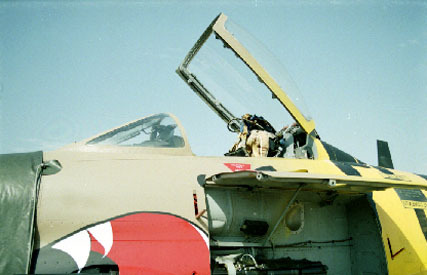 Cockpit and gun bay, right side view. Tiger Meet painting, right side view. Tiger Meet painting, front view. Tiger Meet painting, left side view. Tiger Meet, gun bay view. Tiger Meet painting. (Photo by Philip Camp © Air Enthusiast).